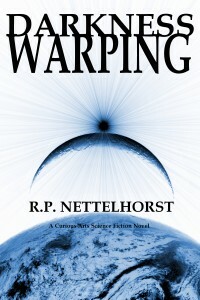 And yet another of my books is now available as an eBook for the Kindle: Darkness Warping. Samuel Drubmuss had a life that was orderly and predictable. He lived alone and spent his days in a routine verging on rut. Then, with the coming of Ted, the world warped and stood on the brink of destruction. 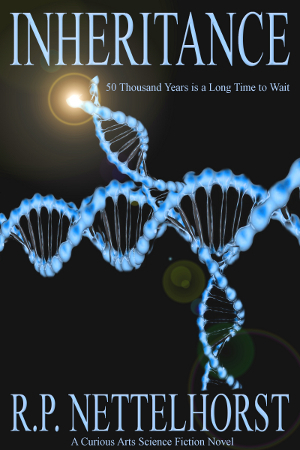 In a world where magic exists and the Roman Empire never ended, Samuel has but thirty days to set things right. With this book I now have seventeen eBooks available for the Kindle, three short stories available for the Kindle, and four traditionally published books: two paperbacks and two hardbacks. I am finishing up the final drafts of two novels, one fantasy, one science fiction; I’m intending to try to sell both by traditional means. I’ve got two others that are in the middle of rewriting, at a stage prior to when I’ll let my first reader take a look at them. I did not write these twenty-one books all at once (and, in fact, there are twelve more novels left that I still would like to rewrite, proofread and release as eBooks). 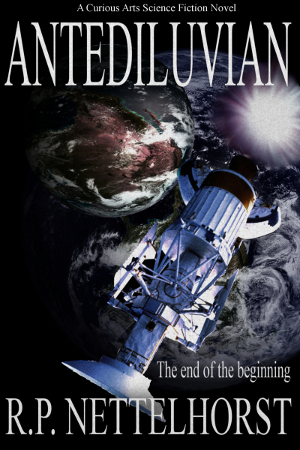 Antediluvian was written in 1987 and I’ve been writing ever since. I was writing before that, too, of course. I wrote an episodic story about robots becoming indistinguishable from human beings and taking over the world when I was in Junior High School. It was followed and passed around by my classmates, who would ask me every day for more of the story. I took typing in Junior High because I decided I wanted to be a writer. 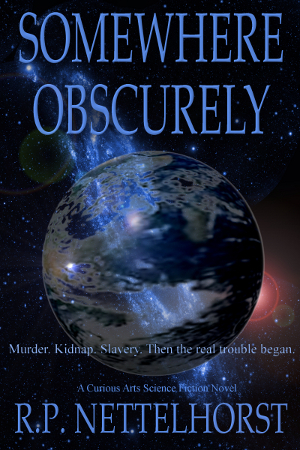 In high school, I wrote my first full novel. I started it at the end of my sophomore year and finished it at the beginning of my junior year–I wrote the first three drafts longhand, before typing the final draft. I didn’t let anyone know I was writing it until I had finished it. My parents were somewhat startled. It was in high school that I began my practice of doing ten pages of original writing each weekday, taking the weekends off. 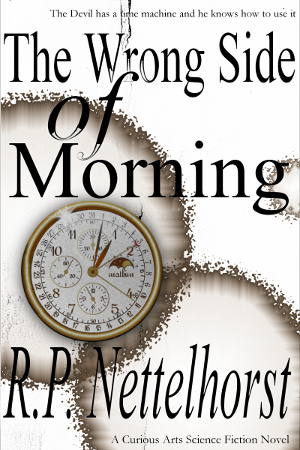 I continued writing novels through the rest of high school and then continued while I was in college. My practice was to do ten pages of original work in one novel, while doing another ten pages of rewriting in another novel. As I look back on it, I wonder how I managed, since I did this all through college and even during the two summers I worked on a kibbutz in Israel (I actually carried a small portable typewriter with me to Israel). Somehow I survived all that writing and did well in college–I was a history major with a minor in Bible and I graduated with a 4.0 GPA, only the third person in the history of that college til that point to have done so. From when I started at 16 until the end of my senior year, I wrote daily, producing about twelve novels. 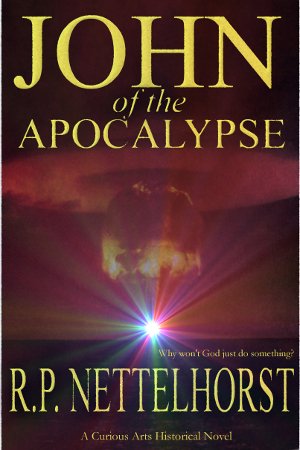 Jerry Pournelle is quoted as saying that if you want to be a writer, you need to be willing to throw away your first million words. Those twelve novels, written between when I was 16 and 22 are tucked safely away in a box somewhere in my garage where they will never, ever be seen by anyone. They amount to closer to 1.5 million words, but that’s okay; they really, really need to be thrown away. During my graduate work at UCLA I stopped writing altogether. I was taking a full time load, learning four languages at a time–I was majoring in Semitic languages–and working forty or more hours a week, while commuting on LA freeways three hours a day. I don’t really know how I survived, except to say that I was young and didn’t know any better. And it was during those years at UCLA that I met my wife, actually went out on dates (many of which were us drinking coffee and eating french fries at Denny’s while we studied). I completed my graduate work a week before I got married and spent the first two weeks of the honeymoon sleeping–well, mostly. That was in 1983. I did not begin writing books again until 1987, after leaving my position at The Master’s College (when they eliminated their upper division Bible and Hebrew classes and replaced them with Sports Ministries). And the list of books above is what I’ve been doing with myself ever since, besides helping to found Quartz Hill School of Theology and then teaching Bible and Hebrew and such, as well as adopting three daughters. Two are in high school and one is in college studying psychology. I apparently like to keep myself busy.